Globalisation has brought a sea change in the perception of savings, investments and careers. The rising middle class, growing job opportunities and young men and women making it big have all contributed towards higher disposable incomes and early establishment in life. Real estate has experienced this phenomenon strongly in recent years when most of the housing sector demand in metro cities has come from young professionals. What was a middle age milestone of owning a home till a few years ago, has now opted for a younger generation. The current generation, or say Millennials, are smart investors and planners with their money. And when invest in a house, they have different aspirations and needs from the previous generation in their families. The real estate boom of early and mid 2000s was brought on the new wave of young professionals we know as Millennials. They have reshaped the real estate industry just by the virtue of their expectations. They have been exposed to international lifestyle standards and trends by virtue of their exposure to internet and international travel. They have raised the bar and are willing to pay for a lifestyle and convenience customised to their requirements. Real estate has seen this shift from functional residences to high value properties to match of the demands of the new customer base who is young, successful, willing to pay and with high standards in quality and comfort. Going by the statistical data that by 2020, 65% of the Indian population would be under 35, builders and construction firms have gone into deeper understanding and insights about the young Indians outlook towards stability in life through owning a house, meeting high standards, etc. Real estate has developed a broad-based understanding of what youth and stablished entrepreneurs look for when they invest in property. Like the basic requirement of space has gone up with today’s consumers asking for comfortable and more spacious houses, priced competitively. A good and spacious house has now acquired the symbol of having being arrived and become an asset to declare to the world that they have made it in life, early on. With higher incomes, and greater awareness, Indian economy has seen higher saving trends even among young working men and women. And they all have their eyes set on one big possession of their life, that is, a house of their own. Higher purchasing power has even made the barrier of risk redundant and seen people willing to take risk while demanding of luxury and a location in life. High-end properties which were few and rare about two decades back are now an everywhere option, even in tier-2 cities. Metro cities like Gurgaon have in very short span of time seen a surge in demand and occupation in luxury segment of apartments and housing complexes. The new generation of buyers who demand luxury and comfort are confidant of the investment they make in luxury properties. Luxury and premium living is no more reserved only for grey-haired people who have established themselves through their life-long professions and have huge savings. 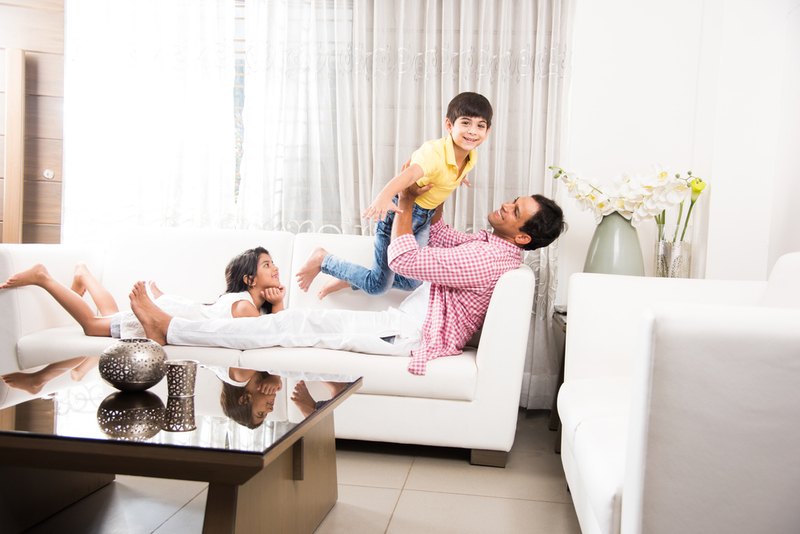 The young are more demanding of the premium quotient when it comes to housing requirements and are willing to shell out more for that milestone in life. A recent research by Bain & Company and Farfetch establishes that Millennials will account for 40% of the global real estate market for luxury and premium homes by 2025. Unlike earlier generations and mindset, young buyers have made the sub-urban development possible, and infact, attractive. Now the localities and societies away from the bustle of the metro cities have much more higher value then thought of previously. Young buyers have followed a trend of moving away from the centre of the cities to a more calmer and less crowded spaces which ultimately bring an exclusivity to those properties, and hence bring a higher return on investment in a only a few years of time. With the pace of infrastructure development in big cities like Delhi NCR, Gurgaon, Bangalore, etc, the off-site areas which were never considered great only one or two generations before are now hot cakes in terms of real estate and exclusivity. Apart from bring a premium lifestyle and modern facilities that builders are providing at par with international standards, a life away from the cities also gives a better living experience with less crowd, traffic and more openness. In that way, there have been a sea change in terms of location perception among the buyers. This has encouraged real estate across the country, particularly in big and growing cities, to move away from the city centres and develop microcosms of premium living. For example, Gurgaon, the millennium city has seen a major development in residential properties away from the city on Sohna Road and Jaipur Highway. Builders like Ashiana Homes, Tata Properties, Sobha, etc., have multiple projects on offer for young professionals within reasonable budgets with all modern amenities of a gated community.